Does walking into a networking event feel like you’re walking into your first junior high school dance? Drop your networking reluctance and transform yourself into a Cool Connector! How much could networking add to your net worth? Could word of mouth add dollar signs to your bottom line? For most entrepreneurs, the answer is a resounding YES! So why are those same entrepreneurs so reluctant to attend a networking event — the start of many powerful and profitable connections? 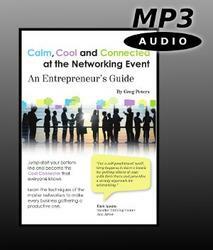 After listening to this in-depth, three-part audio program you will have the tools you need to show up at any networking event. First, you’ll determine where and when you should be networking to achieve the results you’re seeking. Next, you’ll learn what to expect when you walk through the door and how to position yourself as the person to know. Finally, you’ll learn the conversational techniques that will make the job of connecting at the event a lot more fun and effective. Are You Ready to Look Forward to Your Next Networking Event? 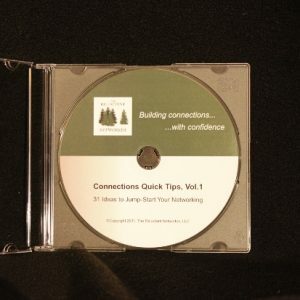 With this downloadable audio version of the program, you can start learning the tips, techniques, and tactics for networking event success within the next five minutes.